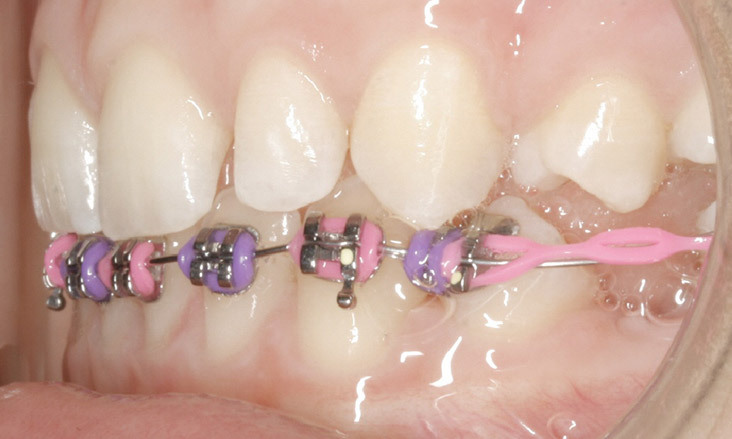 The 75 & 85 were removed to allow the remaining lower teeth to drift and undertake some of the space closure naturally prior to placing braces. 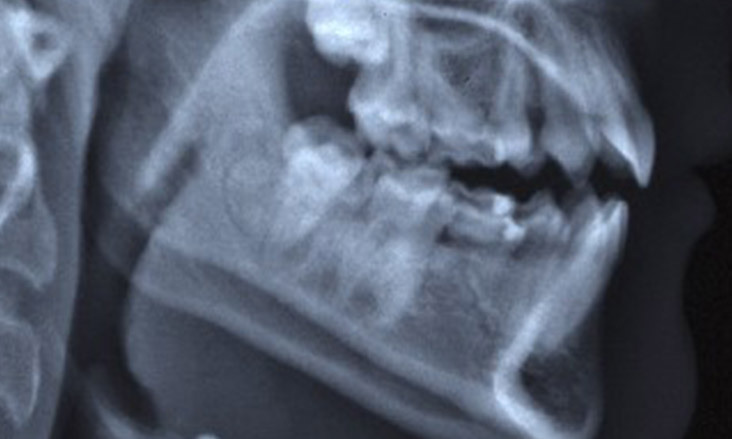 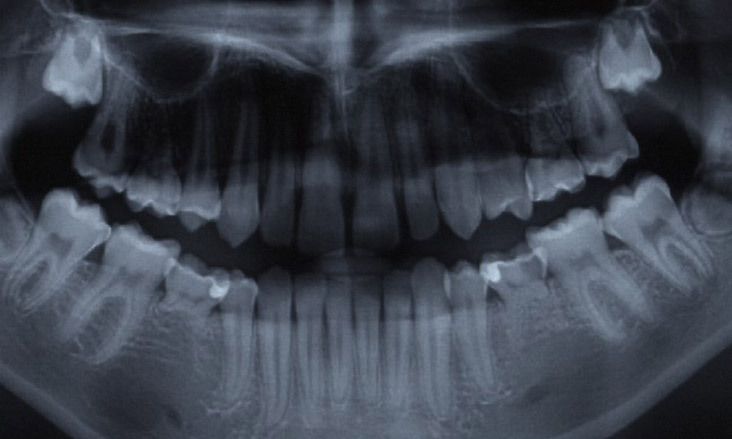 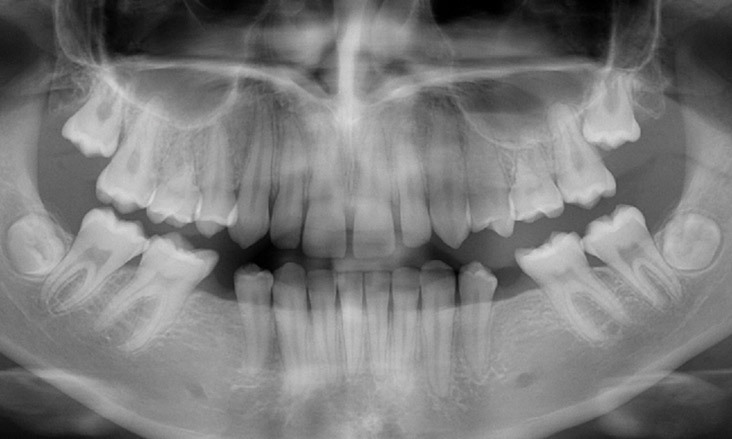 A new OPG x-ray was taken and confirms that the upper wisdom teeth are not forming. 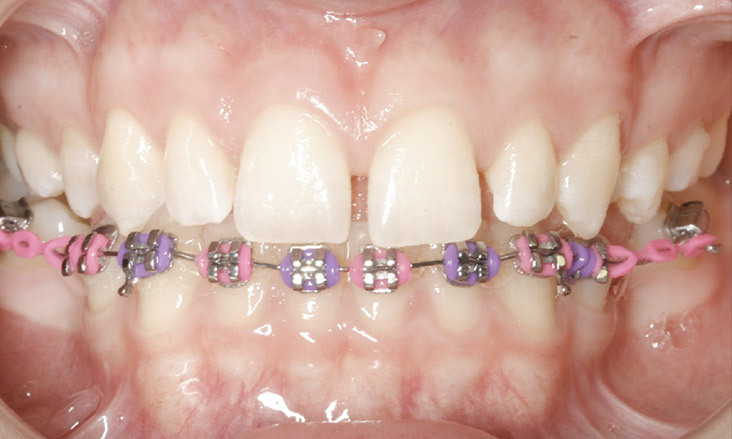 Braces are then placed initially on the lower teeth as there is more work to be undertaken on the lower teeth when compared to the upper teeth. 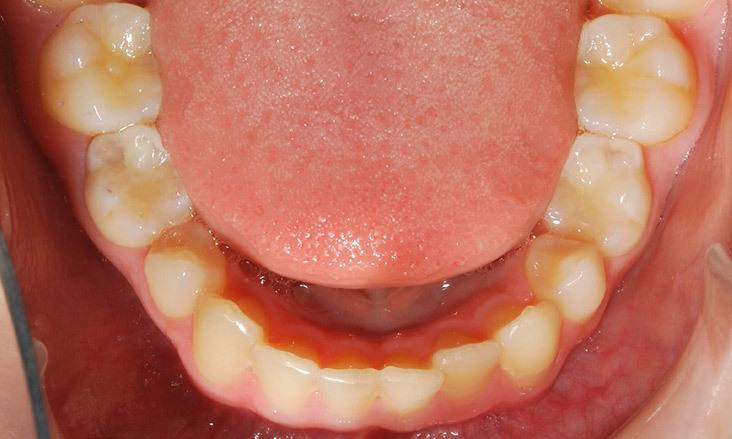 Temporary Anchorage Devices (TAD’s) are then used in the lower to help with moving the lower posterior teeth forwards increasing the space for the wisdom teeth and keeping the front teeth as far forward as possible to maintain the profile and fullness of the lips. 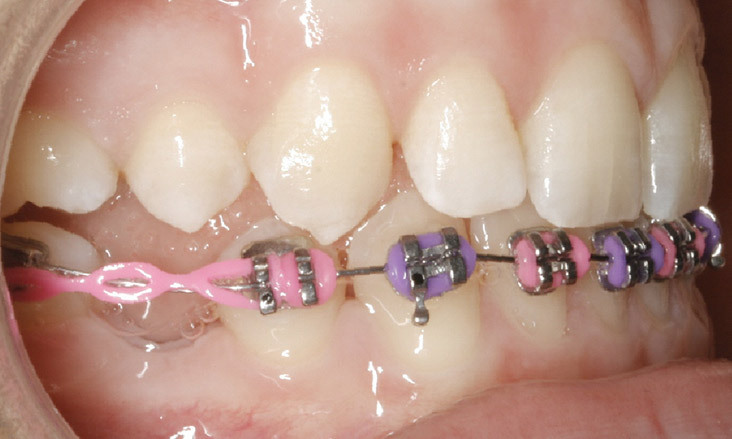 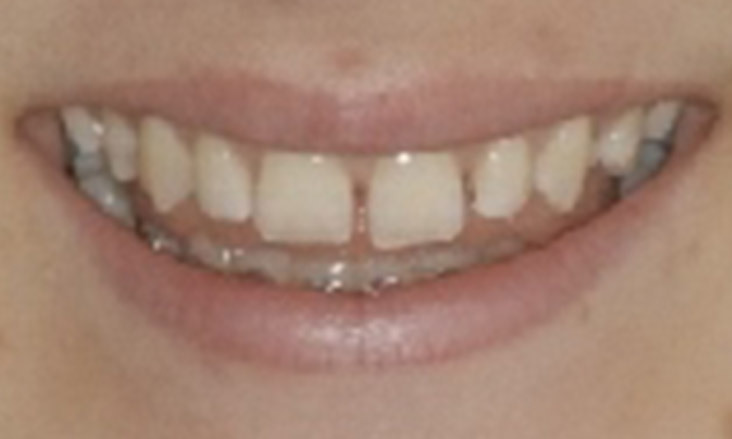 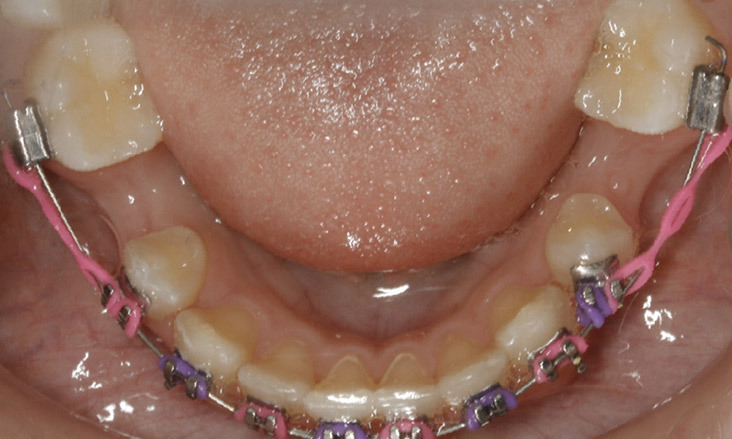 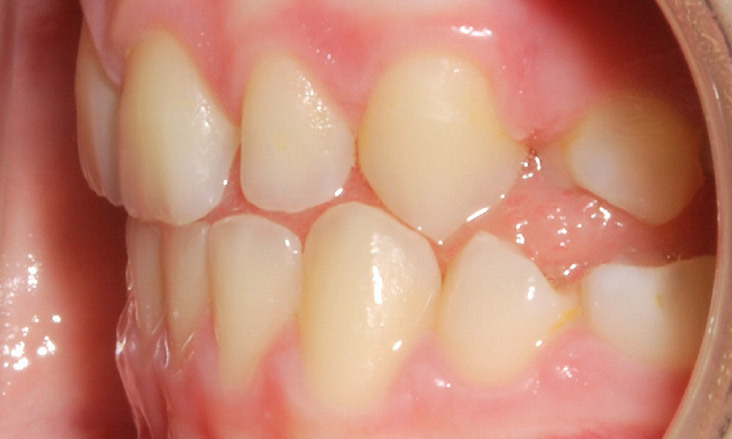 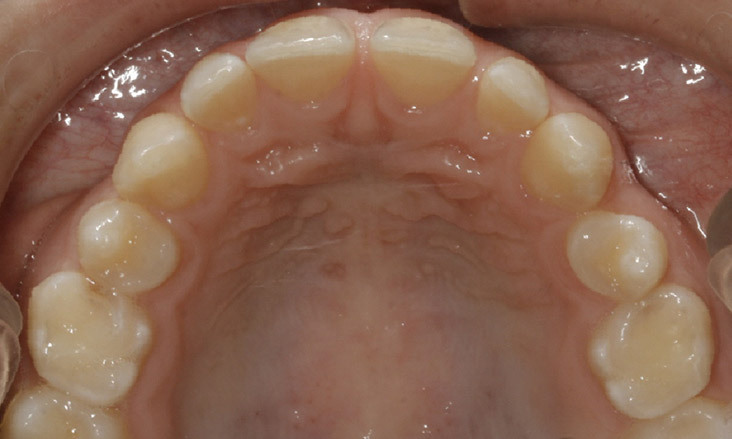 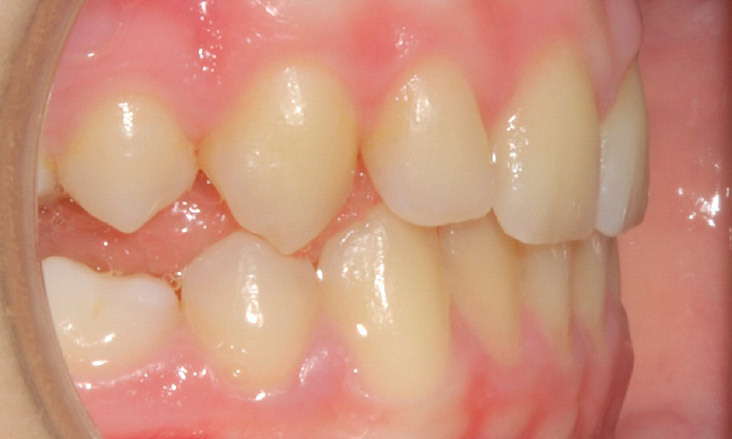 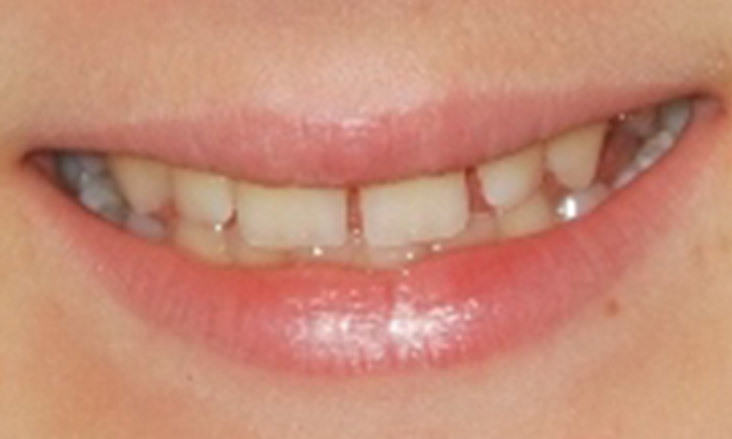 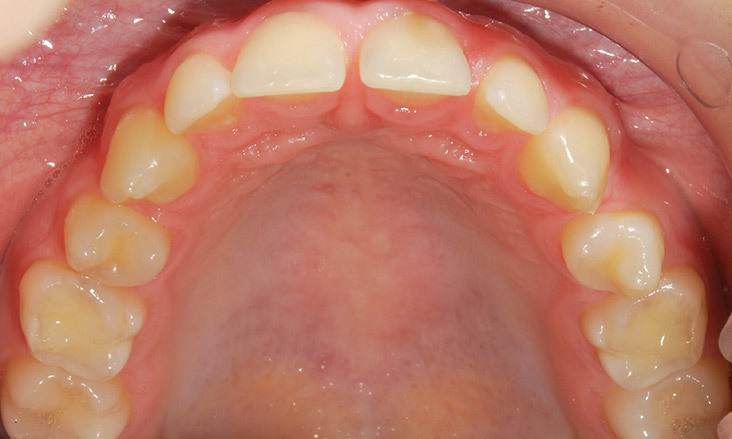 Upper braces are then placed to complete treatment.